We would like to think that no one knows textiles better than we do. Hence we let our fabrics speak for itself. One thing's for certain - to us it has always been, and will always be, about quality. We're passionate about our products and source the finest fabrics around the globe with meticulous care. We believe in providing a wide range of fabric type, patterns and colours to create choice for our customers. And because we believe in the power of fabric to transform, our work is never done. GP sales will start on 1/3/17 – 31/3/17. 16-May-2016 till 31-Aug-2016, Come and visit Nagoya now! 2 April – 1 May 2016, Come and visit Nagoya now! 1 – 31 March 2016, Come and visit Nagoya now! 23-Jan till 21-Feb-2016. 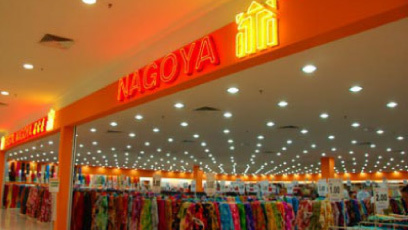 Come and visit Nagoya now!